Foodies everywhere will soon down tools and head to the NSW Hunter Valley for the annual Lovedale Long Lunch. One of the state’s largest regional food and wine events, the Lovedale Long Lunch seems to attract record numbers each year, with more than 18,000 amateur – and not-so-amateur – food and wine appreciators flooding the town for the two-day event. Described as “a moveable feast of culinary delights matched with a selection of outstanding wines”, it’s essentially a progressive-type lunch through seven participating wineries, with music, art, and of course gourmet food and wine at each stop along the way. 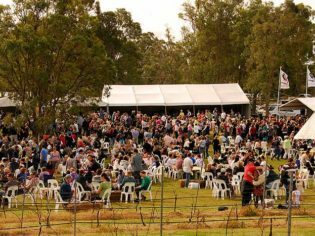 One of the state’s largest regional food and wine events, the Lovedale Long Lunch seems to attract record numbers each year. Hosts for 2010 in the region include Tatler Wines and Tapas, Gartelmann Hunter Estate, Chez Pok Restaurant, Wandin Valley Estate, BelPosto Café/Restaurant, Sandalyn Wilderness Estate, Red Salt Restaurant, Swish Wine at Warraroong Estate, The Verandah Restaurant, Emma’s Cottage Vineyard, Amanda’s Restaurant, Allandale Winery and The Cellar Restaurant – plenty to choose from! You can start and finish wherever you like, just so long as you buy your all-important Lovedale tasting glass and meal package for $42 from any of the participating wineries. 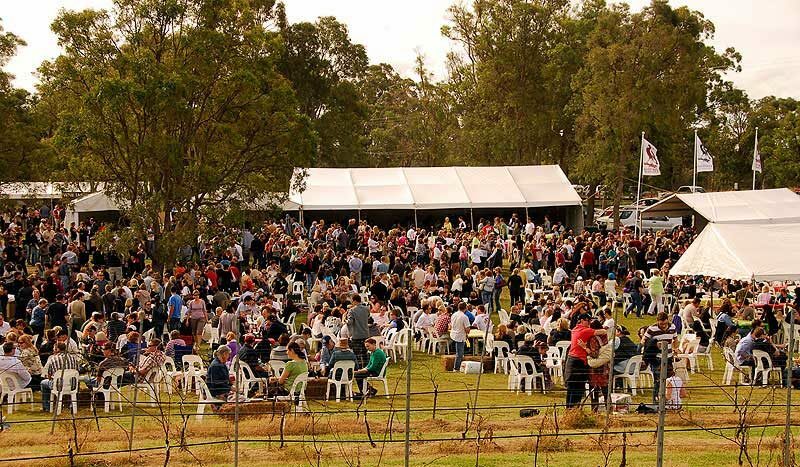 Interestingly, the Lovedale Long Lunch 2009 saw more than 20,000 meals served at the seven locations. And in 2010, the water and energy used to wash the crockery and cutlery was completely removed with the introduction of biodegradable and compostable plates and cutlery. Check out www.lovedalelonglunch.com.au for more info.